Delhi University has the first cutoff list released on 25th June. Delhi University also issued the first cutoff list for NonCollegiate Women’s Education Board (NCWEB), catering to women residing in Delhi. The cut-off varies between 78 to 88%. NCWEB offers two programmes-BA Programmes and B.Com. This year the NCWEB has opened 12 new centers in Aditi Mahavidyalaya College, Aryabhatta College, B R Ambedkar College, Bhagini Nivedita College, College of Vocational Studies, Keshav Mahavidyalaya, Miranda House, Motilal Nehru College, Rajdhani College, Ramanujan College and Aurobindo College. Its main aim is to motivate female students residing in Delhi. After the release of each cut off the list, the students have a period of three days to take the final call and complete the admission process. The second cut off for the Delhi University was announced on July 5. The University declared its fourth cutoff list on July 14 and cut off dipped marginally, in the range of 0.25 percent to 0.5 percent. 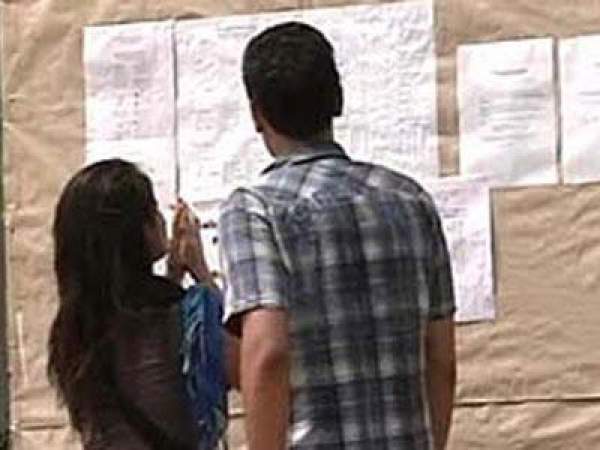 The admission process for the fourth cut-off list ended on July 18. As per the fourth cut-off list of Delhi University (DU), there were several colleges such as Kikori Mai, Ramjas, Hindu, Shri Ram College of Commerce as well as in off-campus colleges like Lady Shri Ram, Sri Venkateswara, Sri Aurobindo, SGND Khalsa, Ram Lal Anand and Shaheed Bhagat Singh. Kirori Amal college too announced the cut-offs above 95% in the fourth cutoffs. However, the admission for most of the subjects like Geography, political science, Sanskrit has closed at the college. The last cut-off for the admission in B.Sc (Hons) at 23, 27, 38 colleges. Delhi University has declared the fifth and final cutoff on July 20 for admission to the university for the 2016-2017 session. This is the last cut off the list as the University had earlier announced that there would be only five cutoff lists this year. The Delhi University has announced that the classes will start from July 20. The students admitted under the fifth cutoff can join the classes later as the process of admission under DU fifth cutoff list will be completed by July 22. After the final list, colleges with vacant seats will notify the status category-wise on its website. Students who had earlier registered on the UG admission portal will have to apply again online and choose the course and college whenever seats are available. Next articleSaath Nibhana Saathiya 21st July 2016 Thursday Episode: Naiya boyfriend’s evil plan revealed !